Cut the spring onions into thin rings, set aside the greens. Cut the broccoli into small florets. Heat the oil in a pan. Sauté the spring onions, add the barley, cook for approx. 1 min. while stirring. Gradually pour in the stock, stirring frequently, so that the pearl barley is always just covered with liquid, simmer for approx. 30 mins. until the pearl barley is just al dente. Add the broccoli and spinach, simmer for approx. 10 mins. until cooked. Mix in the cream cheese, cheese and reserved spring onion greens, season. Bring the water and vinegar to the boil in a pan, reduce the heat. Crack the eggs into a cup, one at a time, and carefully slide into the simmering water, poach for approx. 4 mins. 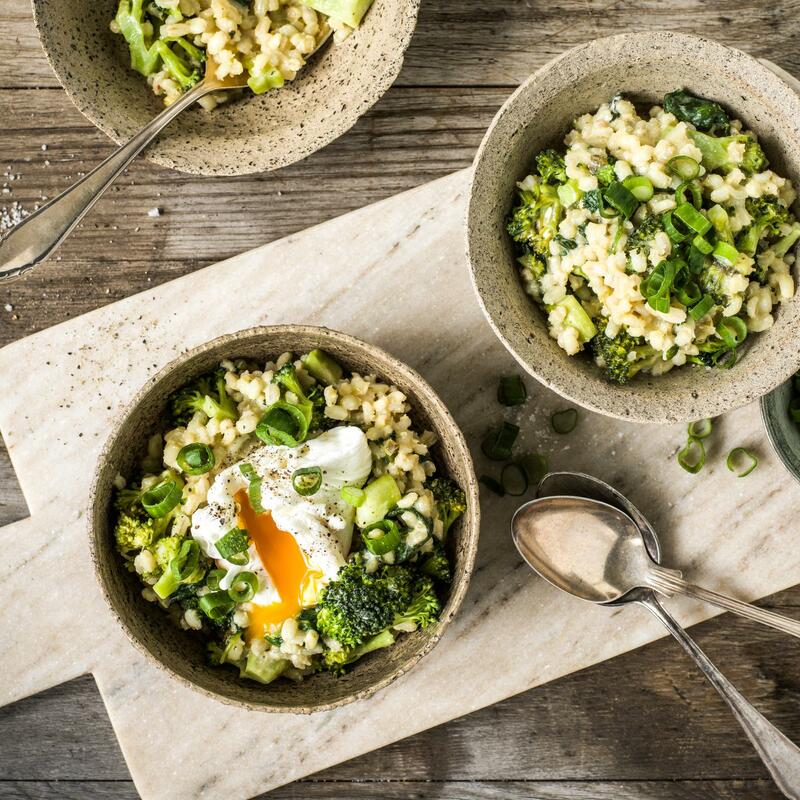 Remove the eggs with a slotted spoon, drain and serve on top of the barley risotto, season with salt.